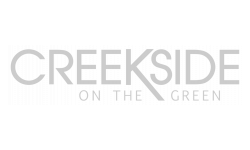 Welcome to Creekside on the Green. Welcome home to comfortable living in the heart of Garland, Texas. Creekside on the Green offers unique 1 and 2-bedroom, garden-style floor plans featuring exclusive amenities such as hardwood floors, all-black appliances, private patios and beautiful fireplaces. Whether relaxing next to one of our two sparkling, Resort-Style pools, getting fit in our state-of-the-art Health and Wellness Center, or spending time with your four-legged friend while they enjoy our expansive Bark Park, Creekside on the Green offers unparalleled services and is the perfect place for you to call home.